A (mostly) wordless post for this first Monday after Thanksgiving. 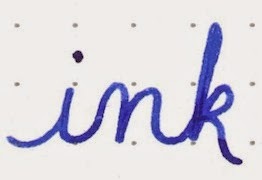 Final Thoughts: It's ok. I wish it had some gorgeous, special sheen like the Rouge Hematite. 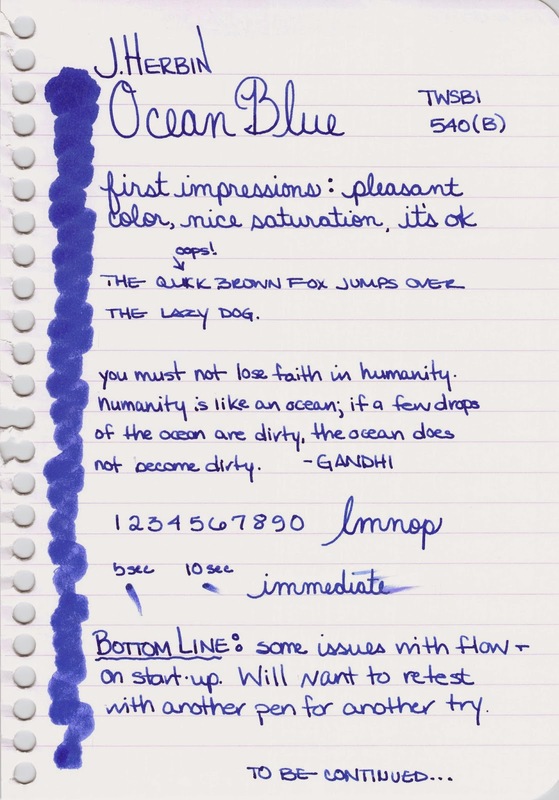 I wish even more that I didn't have so many flow issues - even with a broad nib. I like it enough to give it another go another day. 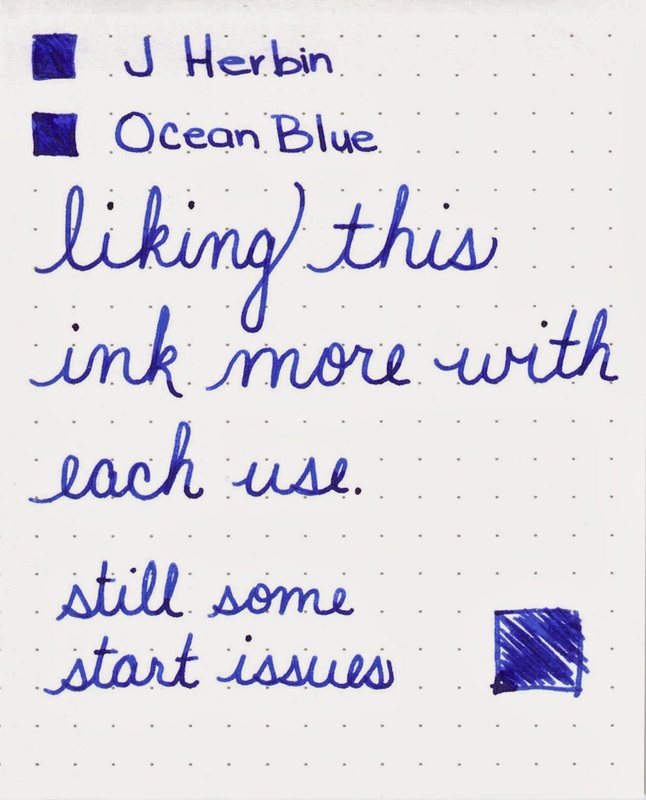 Have you tried J Herbin's Ocean Blue?